Heavy showers going through here in Kerry. Looks like some good convection from Satellite and cloud top charts show temps of about -40 to -50C . Will see if we get enough forcing to produce a few sparks. Would imagine best potential over the sea near the S and SE coasts, the relatively warm SST's aiding instability perhaps. Charts showing convective potential at times over the coming days. 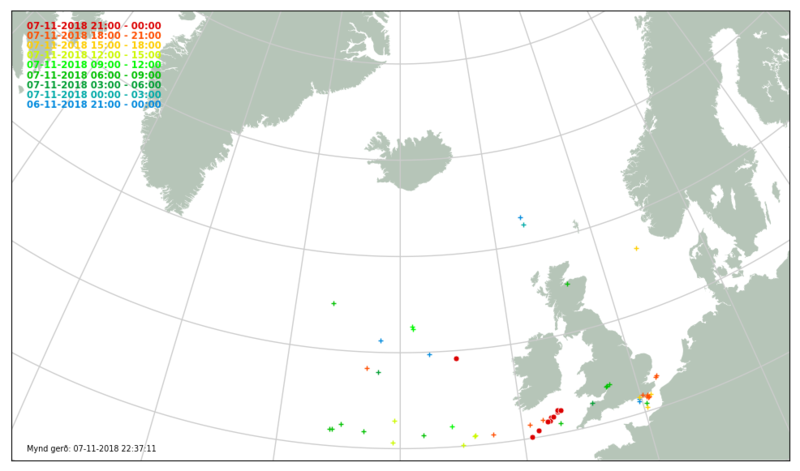 Some firing off well to the S earlier , bit quieter now off Ireland but some nice bow echos from active squall lines off the UK and France. Potential there but behind the main rain bands for the most part ,some thundery showers perhaps in the W , SW later under a passing trough. Good lapse rates, shear even though the uppers are not particularly cold. Estofex have gone with a level 1 for Ireland today. 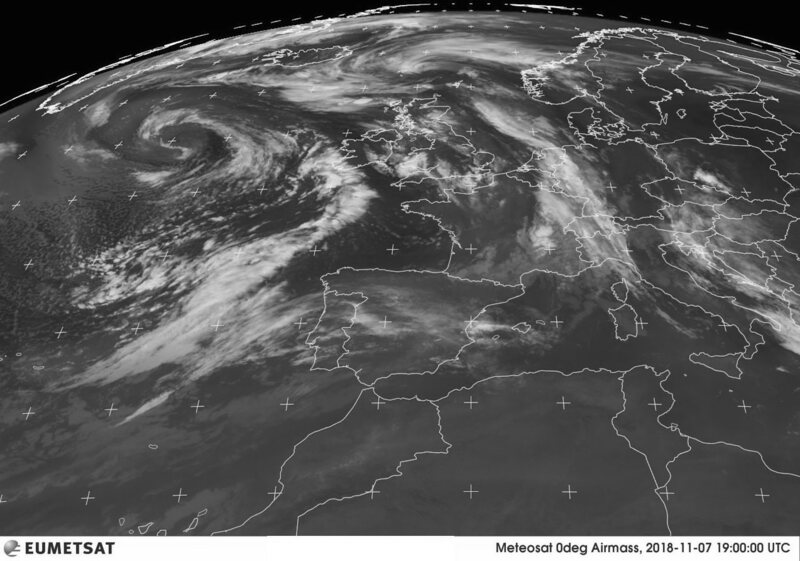 The sharp cold front of the Atlantic cyclone will cross Ireland in the 11 to 18 UTC time frame. Forecast models agree on marginal CAPE and a very strong wind field with up to 20 m/s shear and up to 400 m^2/s^2 storm-relative helicity across the lowest kilometer, respectively. Supported by strong lift ahead of the new Atlantic short-wave trough, a cold frontal rainband could form. Severe wind gusts are possible, and one or two tornadoes are not ruled out in case discrete stronger updrafts form within such a line. It is questionable if convection will be deep enough to produce lightning, though, hence only a level 1 is issued. The cold front will encounter more stable air along its further path over England and Scotland and any remaining convection will gradually weaken. Scattered to widespread, non-convective severe wind gusts are still possible in the warm sector and along the cold front, but they are not reflected by the ESTOFEX threat level scheme. Scattered postfrontal showers will gradually grow deeper and might produce a little lightning over the Celtic Sea towards the end of the forecast period, but by then the wind field should relax enough to keep the wind gusts below 25 m/s. Interesting looking feature starting to show. Just seen this feature and looked for this thread. 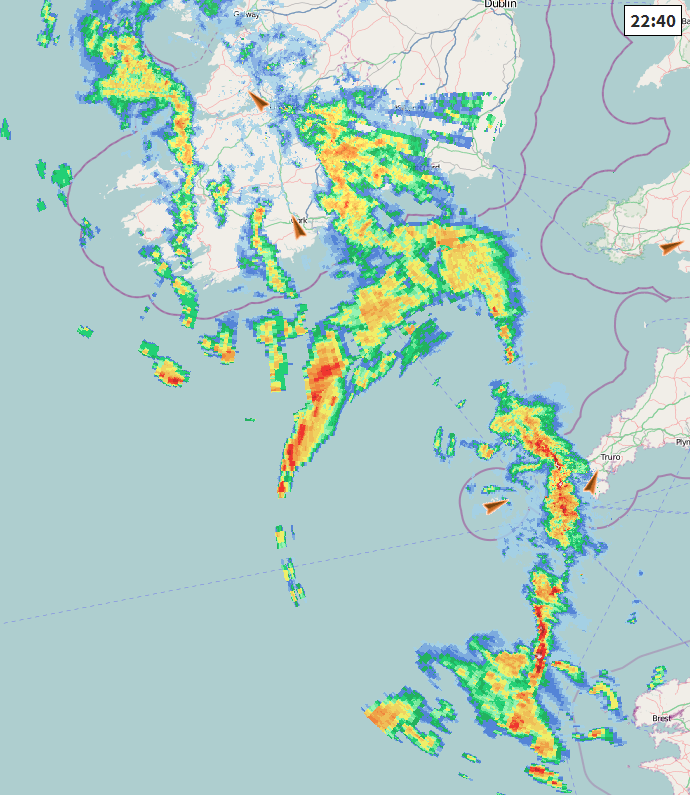 So far only gusty winds and heavy rain in Sligo but maybe Galway got an extra boost! Died out before reaching Galway. I have never seen the sky as black from a front that is approaching Galway from the West now, its pit black and gone very dark. Some streetlights have actually turned on. Anyone confirm thunder and lightning North Wexford? 5 lightning strikes have been picked up in North Wexford.